Executive director of the Laboratory of Advanced Engineering (LGI, Pretoria University), as well as the technological company, Technotron. Pierre Cloete Haarhoff was born in 1938. He studied Mathematics and Physics at the Universities of Pretoria (BSC) and Potchefstroom (BSc.hons) and continued his studies at the University of Cambridge. In 1962 returned to Pretoria University to complete his DSc in Physical Chemistry. In 1963, he started working at the Atomic Energy Corporation and was promoted as manager of the Uranium Enrichment Corporation in 1971. In 1976, he obtained his DIng in Mechanical Engineering at the University of Stellenbosch and in 1977 he accepted a position at Pretoria University. Haarhoff was especially well known for his work on the linking of separation elements in the uranium enrichment process and he had several patents as an inventor. He served on various committees and boards and was elected Chairman of the Pretoria Workers Society in 1985. After his death he was awarded the Hendrik Verwoerd Award for his achievements in the field of academia, scientific research and literary publications, as well as his contribution to the uranium enrichment process. "I was appointed to my post as Principal Scientist, Electro-optics, at the Uranium Enrichment Corporation (Ucor) in November 1974 by Dr Haarhoff, who was at that time Senior Manager, Physical Sciences. He was a charismatic leader and a magnificent genius. It was he who was mainly responsible for the success of South Africa's uranium enrichment ventures. He was the inventor of the pelsikon and the helikon. At the time he left the Corporation he had just received his fourth doctorate, which was in mechanical engineering. It was said of him that he was in the Guiness Book of Records as holding the record for the longest unbroken series of weekly papers in the Mathematical Gazette, a British publication that came out weekly. It was said that he published weekly. All of these papers were on mathematical subjects unrelated to his work, the latter being classified "top secret." On the personal side he was 1.93 metres tall, a flaming redhead. He had a marked curvature of the spine, which made him appear something like a question mark when viewed from the front or back. He wore suits of a sort of mottled ginger colour that went well with his red hair and freckles. He was so devoted to his pursuits that he never attended any of the social events. He used occasionally to smoke a pipe but seldom got it alight. He would light a match and hold it in his hand and then forget what he was doing, until the match burnt his fingers. He was famous for this. It was said that he was a genius at everything except reading engineering drawings, where he had some kind of mental block. He operated on the side as an estate agent, selling stands in Ifafi, a suburb near the Hartbeespoort Dam, and was said to have made a fortune out of this hobby. He drove a top of the line olive green Mercedes Benz, which matched his general colour scheme. After leaving the Corporation (in 1977), he was appointed Professor of Mechanical Engineering at the University of Pretoria." "Pierre C Haarhoff was married and had three talented children: the eldest son, Julian, who inherited much of his father's appearance; a daughter, Rouvierre, and the youngest son, Johan. His wife, Wanda, creative in her own right, is now married to retired chief justice Frikkie Eloff and lives in the Southern Cape. He was held in awe by all who met him for evidently being a genius, but also working very hard on leading the life of a normal person. I worked closely with him since mid 1973 until his untimely death in the first week of February 1990 - (20 years ago, and only a few days before the announcement of the unbanning of ANC and the release of Nelson Mandela). It was a period of continuous learning for me. I did my PhD under his promotorship and succeeded him as Head of Mechanical Enigeering at UP, until 2001. I personally worked very hard on getting "Skeppingsverhaal" published, as it was still only a manuscript when he died. My mother, a retired Afrikaans lecturer, also proof-read some of his short stories published in "Tydskrif vir Letterkunde" prior to finding their way into "Uit 'n ander Wêreld")." 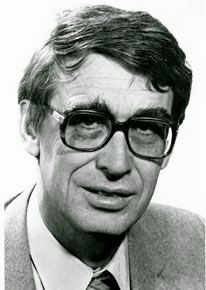 Pierre C Haarhoff Uit Matieland, nr1 van 1990, p 20 In Memoriam Prof PC (Pierre) Haarhof was die hoof van die departement meganiese ingenieurswese aan die Universiteit van Pretoria, wat in 1976 'n doktorsgraad in die ingenieurswese aan die US behaal het. Hy het voorheen op Potchefstroom en aan die Universiteit van Pretoria gestudeer, reeds in 1961 sy eerste doktorsgraad behaal, en ook aan die Universiteit van Cambridge gestudeer. Vanaf 1971 was hy die bestuurder vir fisiese wetenskappe by die Raad op Atoomkrag. In 1977 is hy aan die UP aangestel. Hy was die skrywer van 'n 50-tal vertroulike en sowat 30 ander vakkundige publikasies. I am very grateful for the information by friends and former colleagues of P. H. Photo found at UP website.